Our two principal goals for this brand: to communicate that Pittsburgh Blue is an exceptional steakhouse; and to impart honest value to a clientele that works hard and wants their money’s worth. First, the name: “Pittsburgh Blue” refers to steak that’s charred on the outside and raw on the inside. This style of cooking was supposedly born in the steelworks of Pittsburgh, where workers were said to throw steaks directly onto the blast furnaces. 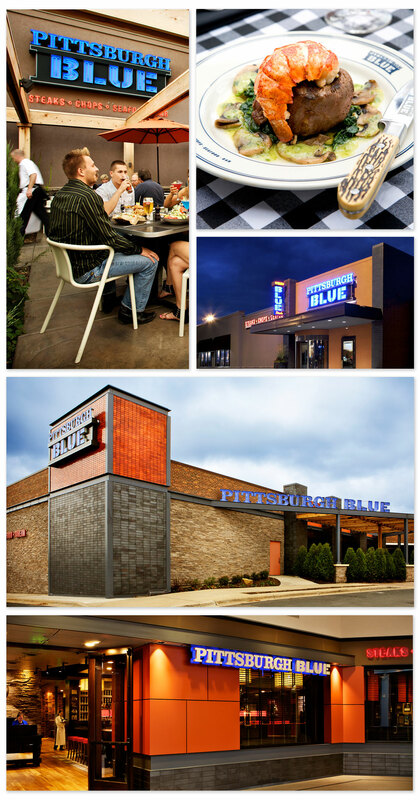 The visual identities for Pittsburgh Blue and its separately branded bar, the Blue Tavern, pick up on that lore. Interior and exterior signage from Pittsburgh Blue at the Galleria mall in Edina, Minnesota. 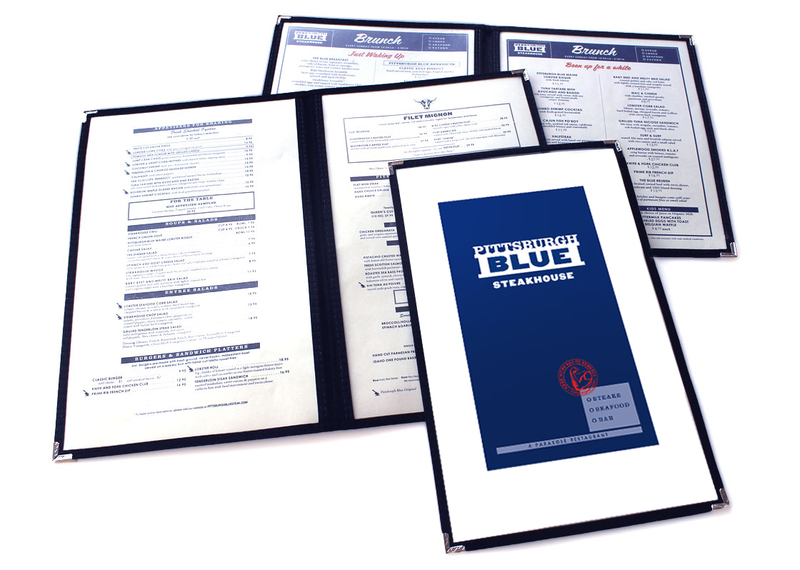 Pittsburgh Blue’s menus, designed within the classic steakhouse vein, can be printed daily onsite. 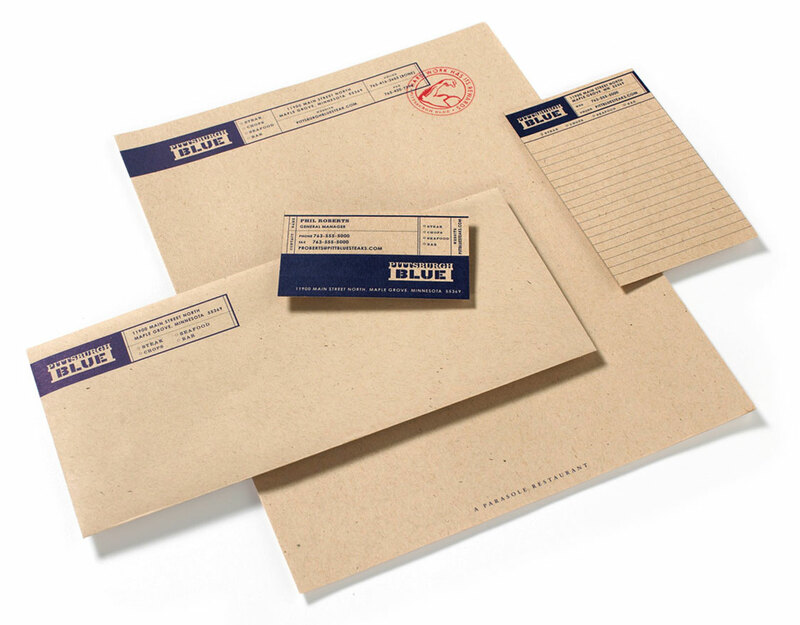 The restaurant’s identity system, like other elements of the brand, reinforces Pittsburgh Blue’s blunt, “working man” aesthetic. 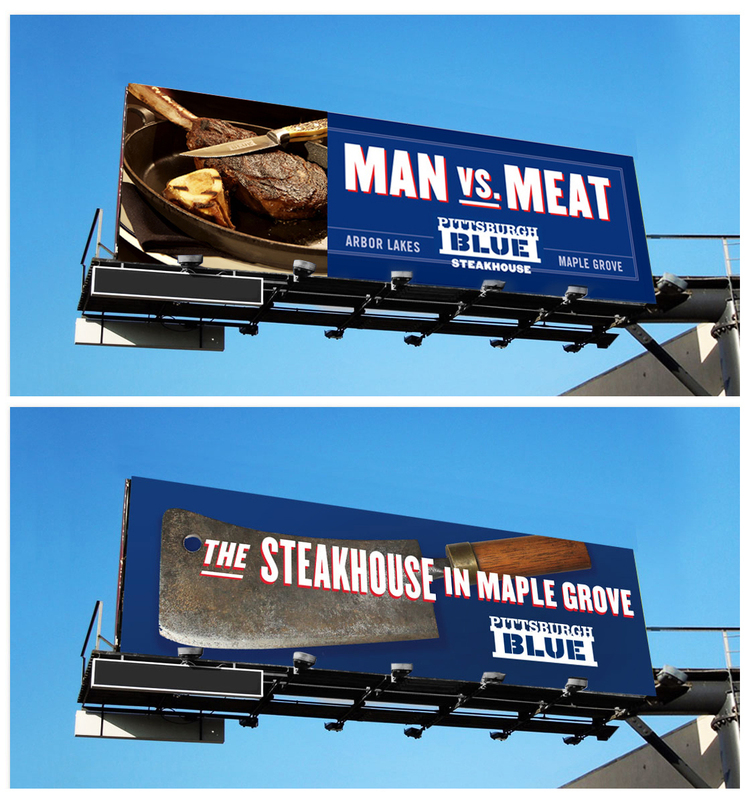 Part of our initial round of advertising, these billboards communicated the concept’s identity from their location on the interstate not far from Pittsburgh Blue’s exit. 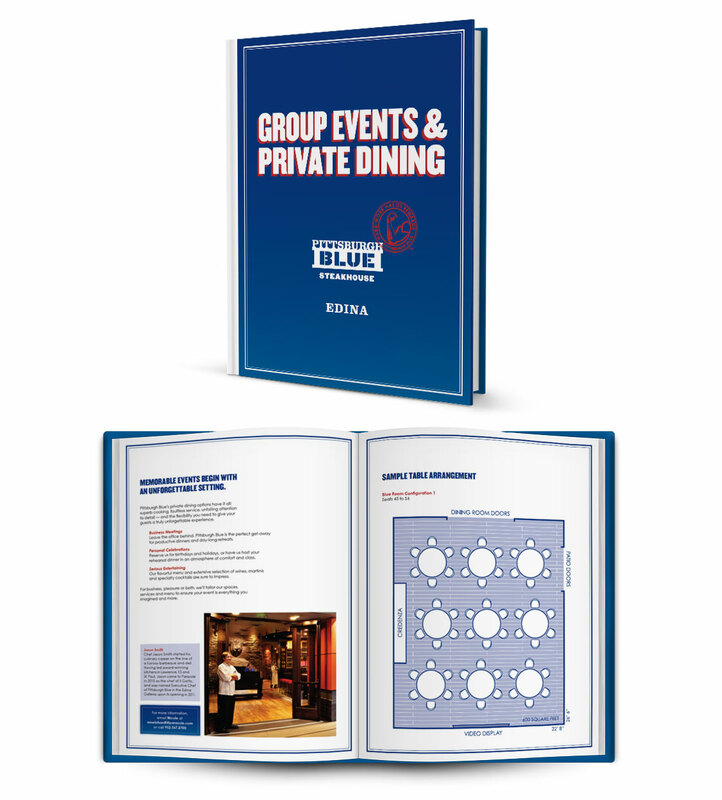 Both Pittsburgh Blue locations host private dining and group events. Butchers, cleavers, sides of beef: This steakhouse’s website is anything but ambiguous.